It’s Summertime and the Living is . . . Sweaty! As I am typing, I am sweating. Welcome, Summer! I’m only 9 days into the Season and I’ve had a blast so far. Franz and I celebrated our 10 year Wedding Anniversary at The Grand Del Mar and had an amazing 10 course dinner at the Michelin-starred restaurant, Addison. I can’t wait to share what went on behind those doors, but I will have to post that in July. Why? I’m heading out to Cleveland and Cincinnati, Ohio to see family, and I just ran out of time this week to finish writing. Make sure to follow me on Instagram and Twitter (@megangillkopp) because I can guarantee it will be a food extravaganza, some Bourbon tour debauchery in Kentucky, and a reenactment of Oktoberfest in Cincinnati. In no particular order, here are the highlights of my Summer so far . 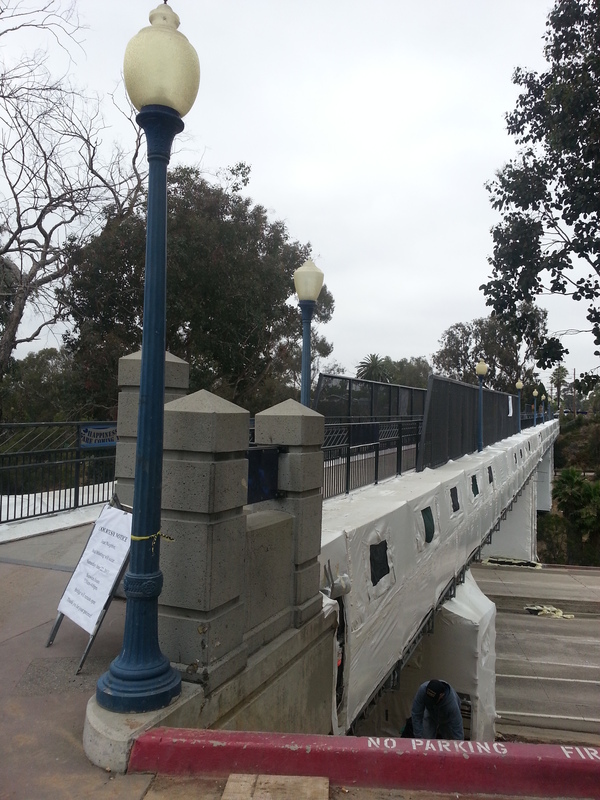 . .
Our Neighborhood Footbridge is Getting a Much Needed Facelift! 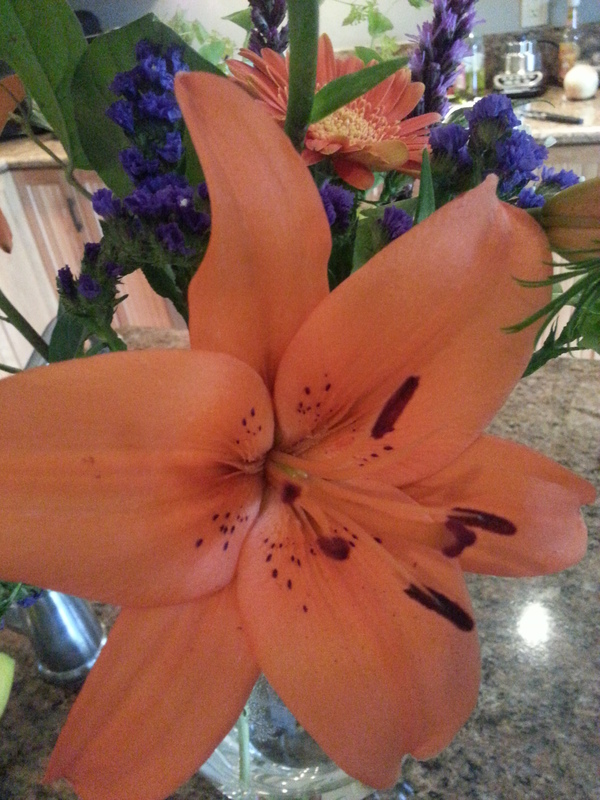 Franz Bringing Me Flowers on Our Anniversary. He Included My Favorite Flower, Bells of Ireland Which I had in My Wedding Bouquet! Thanks, Franz! I finally tried a cronut! 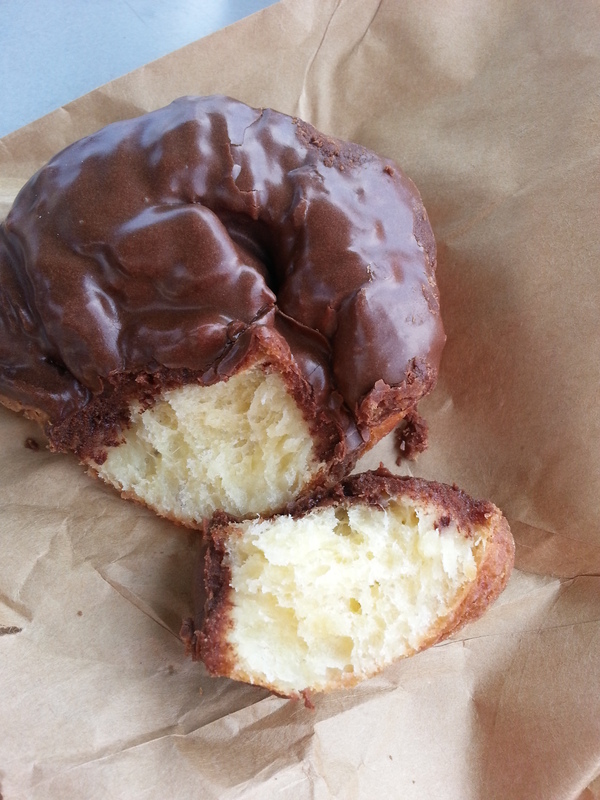 If you haven’t heard of a cronut before, it is a cross between a donut and a croissant. I would imagine these could be really screwed up, so go to an amazing baker for one. The one I had at VG was delicious. 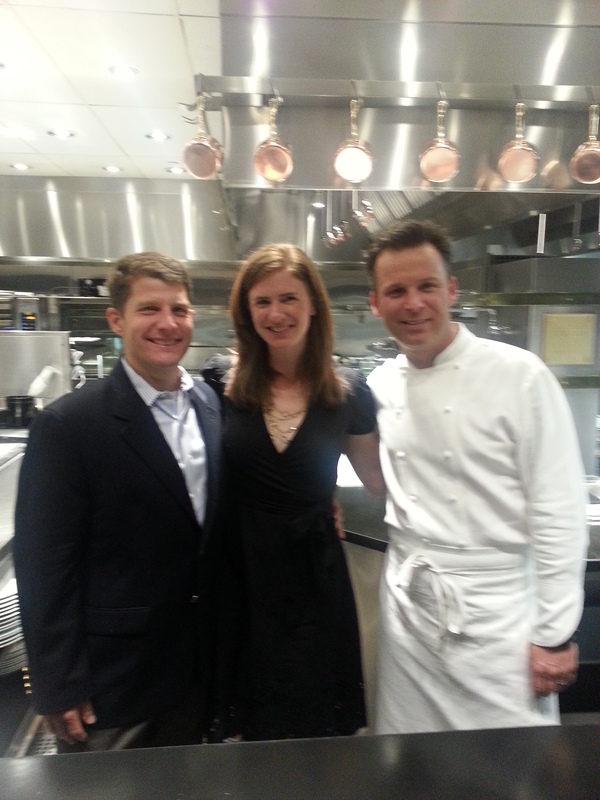 Meeting Chef William Bradley After Our Dinner at Addison. Let me know what awesome stuff you’ve done so far! I would love to read about it! You had a cronut and I’m so jealous! I think they sound fabulous. Have fun during your Ohio trip – can’t wait to hear all about it.